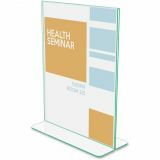 Clear sign holders feature premium green-tinted edges. 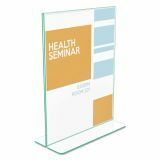 Polished, rounded edges offer a pleasing look, enhancing your message. 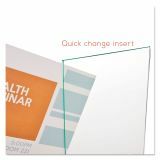 Features both bottom and side-loading capabilities. 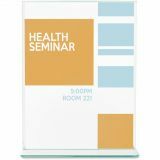 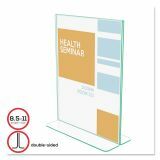 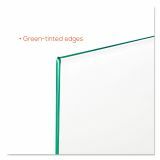 deflecto Superior Image Premium Green Edge Sign Holders, 8 1/2 x 11 Insert, Clear/Green - Freestanding sign holder features premium green-tinted edges. 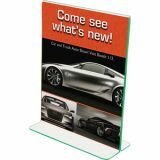 Polished rounded edges offer a pleasing look, enhancing your message. 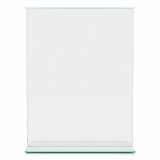 Great for high-end signage, awards or certificates. 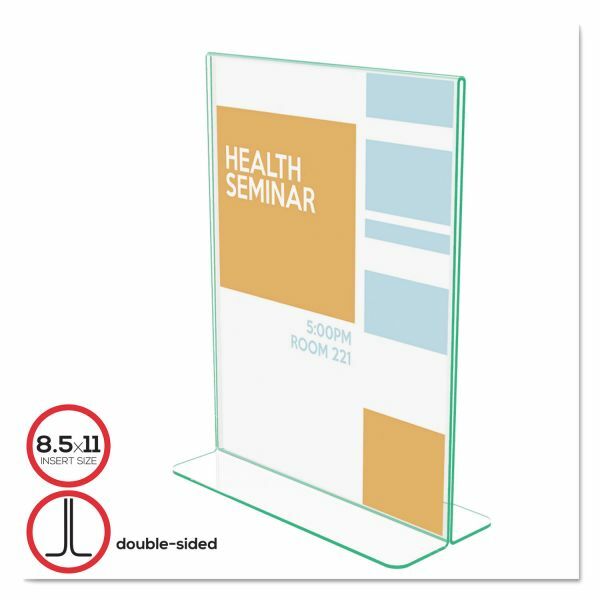 Sign holder features both bottom-loading and side-loading capabilities. 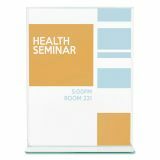 Personalize and print signs from any office using a free, online sign creator.